New Fuji’s For Everyone For 2012 — Part 2. One step down from the top tier line of Fuji cameras is the Bridge/superzoom section. This section is where most of the advanced amateur/enthusiasts live. Many of whom would like to have a higher grade of camera than the more standardized Point & Shooters, but have budgets that are limited or modest by necessity. Finding a camera that fulfills these photographers needs is what the section of cameras is all about. Maximizing a return on your hard earned dollar (or whatever your home currency may be). So what really is on offer by Fuji that fits this criteria. For those wanting a camera that is compact, has great resolution, night shooting abilities, and is a good all round travel companion there are two options that fit this section. The all New F770EXR and the older but well regarded T300. 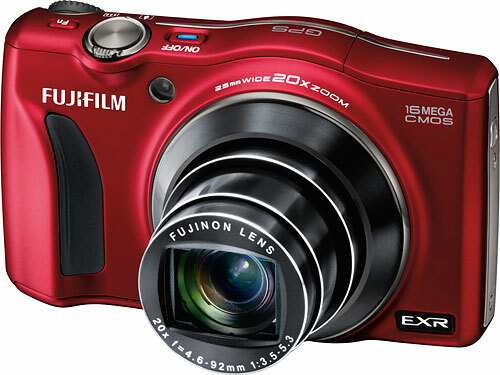 With the F770EXR you get the best of the EXR compacts produced by Fuji with an improved lens, that now has a 20x optical zoom. Thats quite a reach for a mid to high end compact, coupled with the digital zoom theres going to be plenty to get from this camera. We all ready know the 1/2″ EXR sensor that was used in the HS20 is a good unit, and the newer improved sensor should be even better. So if its high quality shots on the run that you are after, or just high quality travel shots the F770 shouldn’t disappoint. Improving on both F550EXR and the F600EXR the resulting F770EXR should offer a little something for everyone. The only previous let done with this series of camera was the misalignment in the lens often found in the F550. Hopefully this is now a thing of the past and users should be able to enjoy a trouble free run from what is now a well established line of cameras. At approx $550.00 NZ & $230.00 NZ respectively these should fit the bill price wise. As always shop around for a good price.